Anita Nador is a partner in Gowling WLG's Toronto office and a member of the firm's National Life Sciences Practice Group. She is a lawyer and registered patent agent in Canada and the United States, and a registered Canadian trademark agent. privacy and access to information. 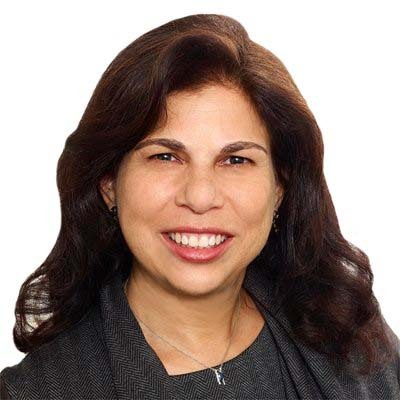 She also assists clients with related agreements, such as asset purchase, license, development, clinical trial, consulting, and master services agreements and has advised on many commercial transactions and financings. Anita's clients include large international companies, and academic and research institutions, start-up companies and commercial investors and researchers. Before law school, she conducted research at Brigham and Women's Hospital/Harvard Medical School in Boston, Massachusetts and at Allelix Biopharmaceuticals in Mississauga, Ontario. In recognition of her ability to add real value to her clients' business, Anita was a recipient of a 2016 Client Choice Award. Anita also regularly speaks, teaches and writes on topics related to intellectual property, regulatory compliance and technology transfer issues. She is currently an adjunct professor at the University of Toronto's Institute of Health Policy, Management and Evaluation.